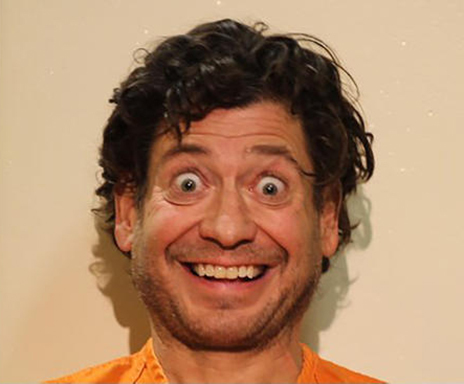 A Pennsylvania man was all smiles yesterday after he was arrested for allegedly threatening to shoot up a polling place after being told that he was not registered to vote. Police charge that Christopher Queen, 48, sought to cast a ballot Tuesday morning at the South Franklin Volunteer Fire Department in suburban Pittsburgh. But a check of voter rolls by election workers revealed that Queen was not registered. Upon learning that he would not be able to vote, Queen became irate and warned that he was going to get a gun and “shoot up” the polling site, cops allege. Queen, pictured above, then left the fire department, but was soon apprehended by police. He was charged with disorderly conduct and making terroristic threats, a felony, and booked into the Washington County Prison on $10,000 bail. According to court records, Queen’s rap sheet includes convictions for drunk driving; harassment; reckless endangerment; disorderly conduct; and criminal mischief.